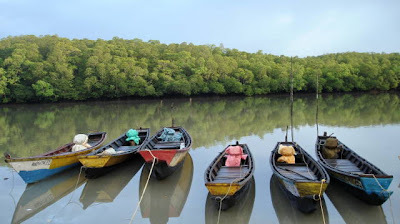 Baratang Island is situated between Middle and South Andamans, approximately 100 kms from the capital city Port Blair. Connected well through road and boats, the main transportation point is the Baratang Jetty. The road to Baratang from Port Blair passes through the Jarawa Tribe Reserve also known as Andaman Trunk Road (ATR Route). Hence, security personnel also travel for the safety of the tourists and the tribals in a convoy. Interacting with them, giving them food or clicking their pictures is strictly prohibited and a punishable offence. It can be said that this place is a conglomerate of the varieties nature can offer. Like every other place in Andaman Islands, it has a beautiful coastline that boasts of rich marine diversity. Some of the beaches are Baludera, Rogalchang, Nayadera etc. It has mangrove creeks on both sides and a dense tropical forest apart from the beaches. This gives scope for adventure and fun activities like Jungle Trekking, Creek Safari, Island Camping, Beach Tours and Bird Watching and water sports like Snorkelling and Scuba Diving. Baratang Island can be reached by taking a bus from the STS Bus Terminal, Aberbeen Bazar. The journey takes 3:10 hours, costs around Rs 45 and drops you at Middle Strait. The journey is in 2 phases – Port Blair to Jirkatang. Journey Time – 1 hr 30 mins & then Jirkatang to Nilamber Jetty (Middle Strait). Journey Time – 1 hr 40 mins. There is a drive through the Jarawa Reserve area (Jarawa: a tribal of Andamans) on convoy. You also have a chance to see some of the aboriginal tribal “Jarawas”. Then from Nilambur Jetty, you get ferries for Baratang Island. These ferries are vehicle ferries and can accommodate buses, trucks, cars & bikes. It takes about 15 minutes to reach Baratang from Nilambur Jetty. However if you are looking for a convenient travel, consider taking a package tour being offered by travel agents/ tour operators there. Baratang is famous among tourists for Lime Stone caves and Mangrove Forests. These caves are located 50 minutes away by sea from the Baratang Jetty. You can hire small speed boats or fishermen boats (dongis) to reach Lime Stone Caves. They cost about Rs 200 (both ways). 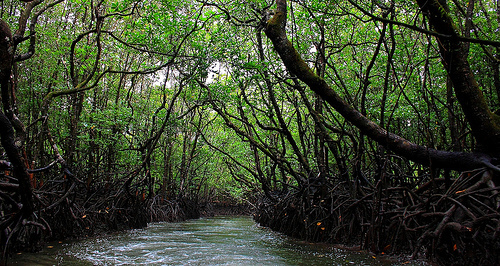 The journey to the caves enthralls everyone as it takes you underneath the dense forest of mangrove plantations. For some it’s an experience of lifetime. Baratang is one of the few select places on the Earth where limestone caves can be found. Special permission from the Forest Department at Baratang is needed to visit the caves, which can be obtained from the Baratang jetty. Limestone caves remain closed on Monday. It is advisable to carry drinking water and food packets while visiting the caves. 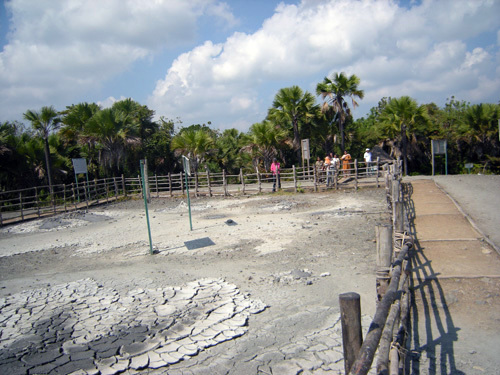 Baratang also has an active mud volcano that squirts little fountains of mud. However, the eruptions are quite sporadic in nature. 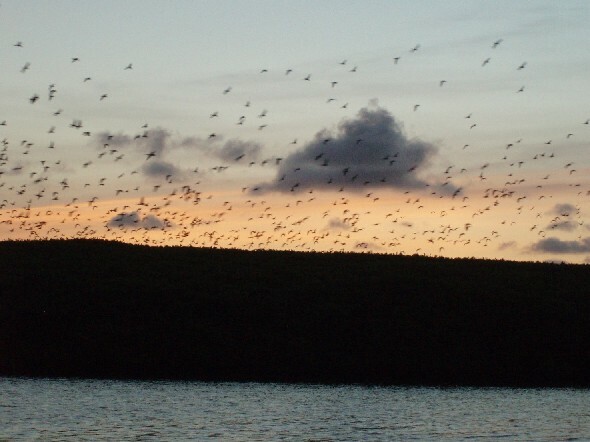 And if one has to experience the beauty of the sun setting over the ocean, it has to be done at Parrot Island.It is home to a large number of parrots which can be spotted returning to their nests in the evening while the sun sets in the backdrop making for a spectacular view and a really mesmerizing experience for the beholder. An Andaman itinerary is incomplete without a visit to this place as popular tourist sentiment goes.
" Away from the crowds and hustle of everyday life, Andaman is a destination of untouched tranquility ! " Travel guide to Andaman, featuring up-to-date information on attractions, hotels, restaurants, nightlife, travel tips and more. Submit Your Travel Story !